Kanteisho: HOZON TOSOGU N.B.T.H.K. Kanteisho. Date: Heisei, 2nd Year, 10th Month, 31th Day. 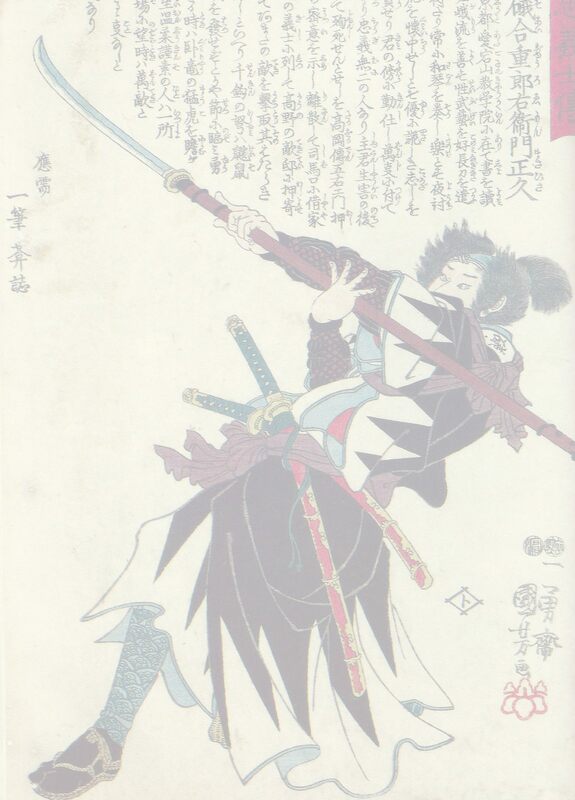 Form: Marugata (round), with one hitsu-ana.. Size: 74,2 x 74,8 mm. Nakago ana: 26,4 x 7,1 mm. Katana or large wakizashi size. 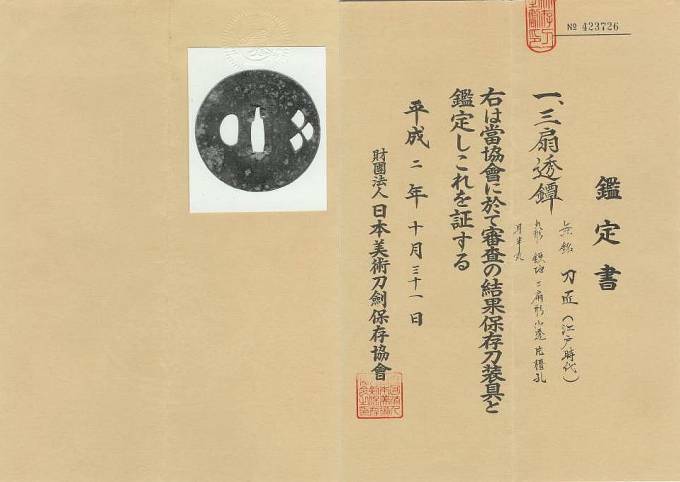 Description: Simple tsuba, Mon Sukashi type. Steel tsuba with Hitsu-ana for Kozuka. Nice dark patin, with HOZON paper.